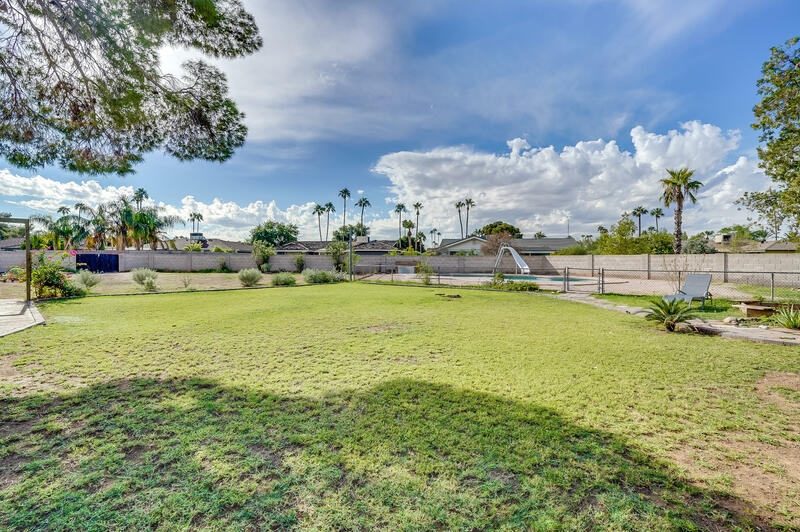 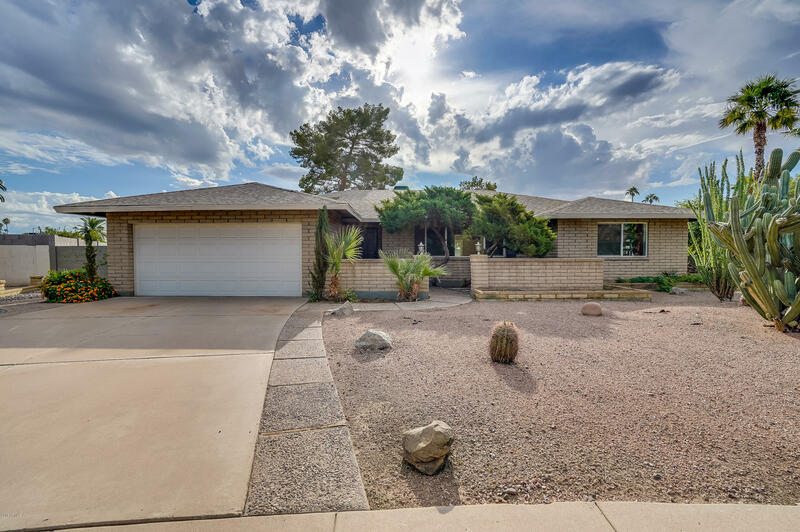 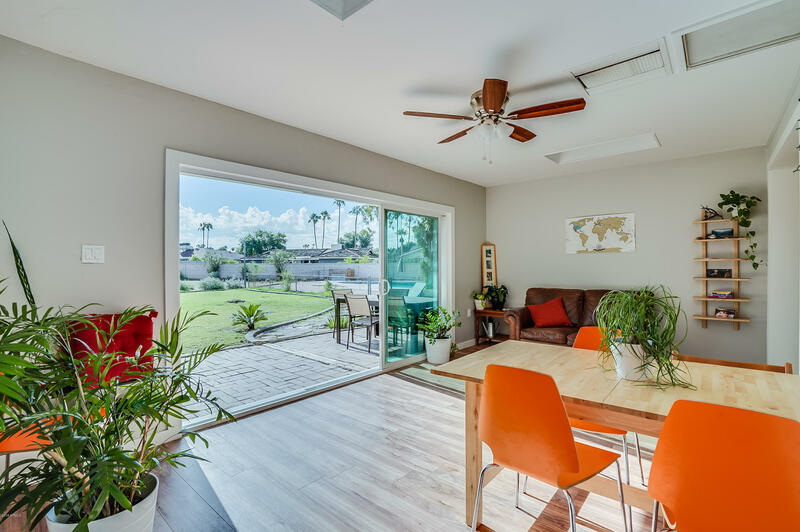 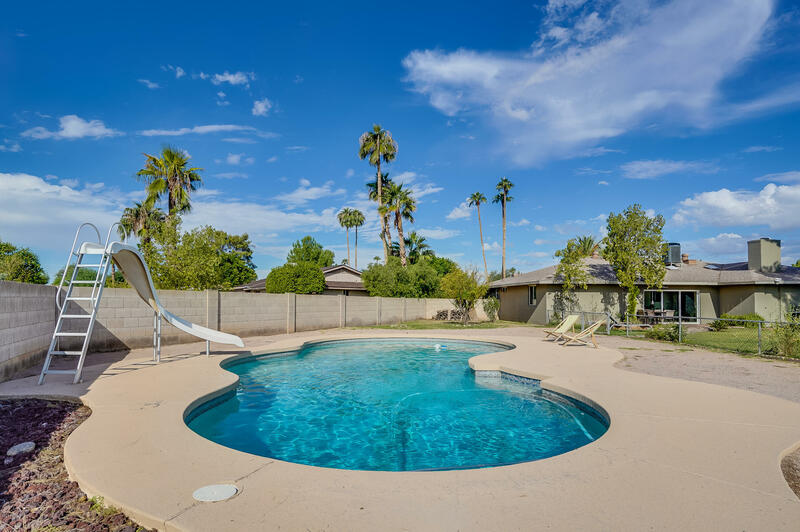 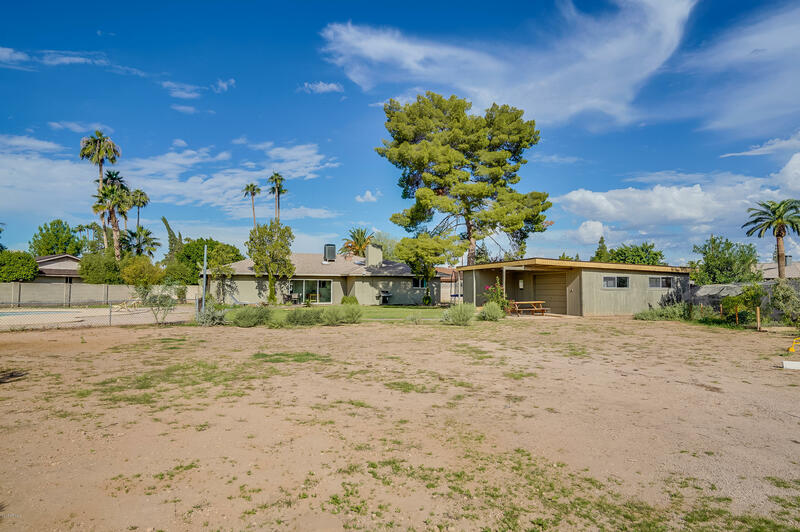 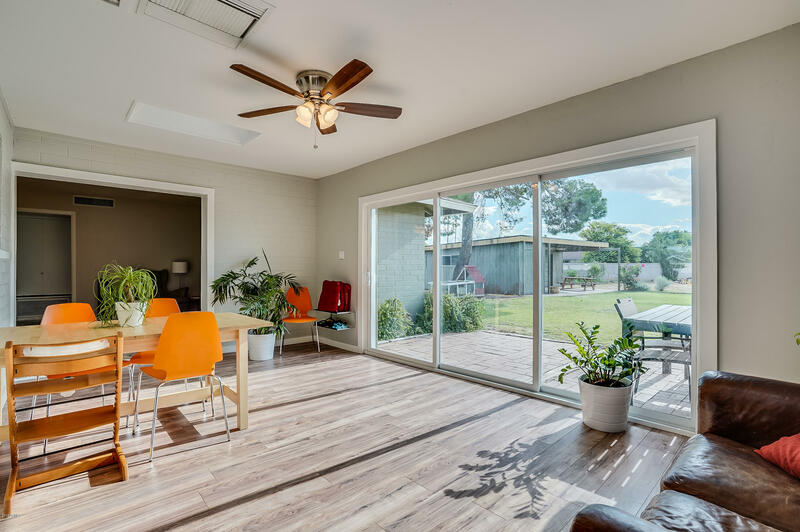 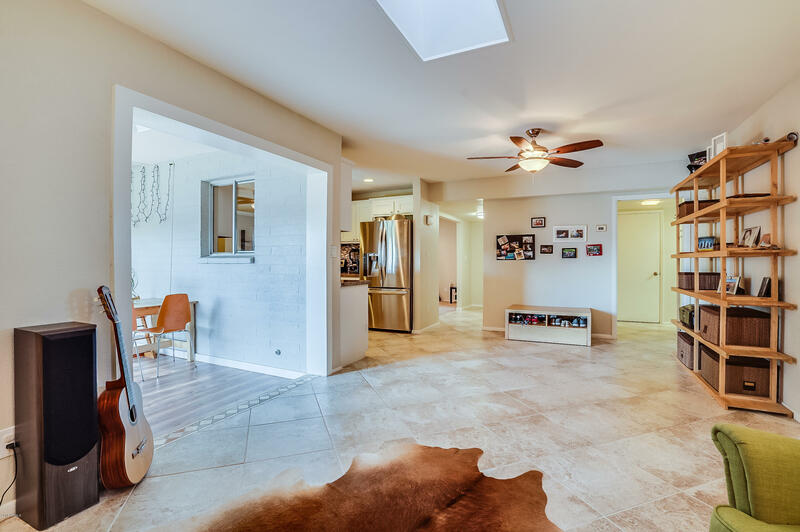 Rare estate-like remodeled home on over 1/2 acre lot in popular Tempe Royal Palms neighborhood with an additional detached 2 car garage/workshop & diving pool. 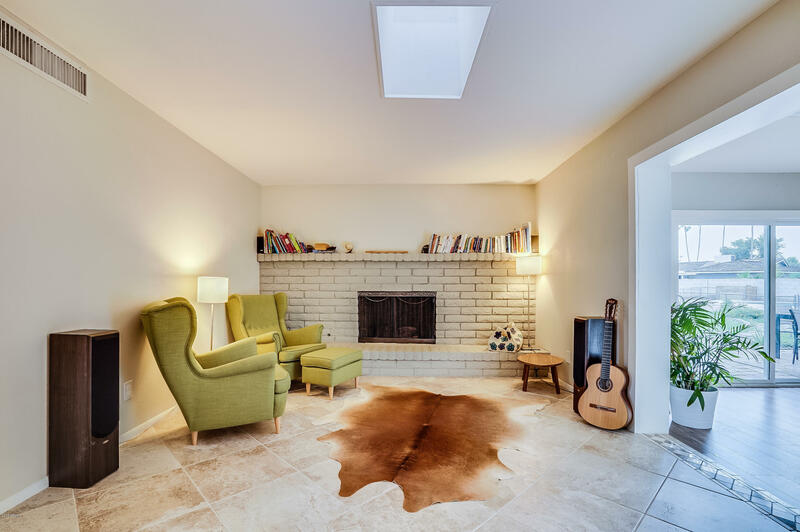 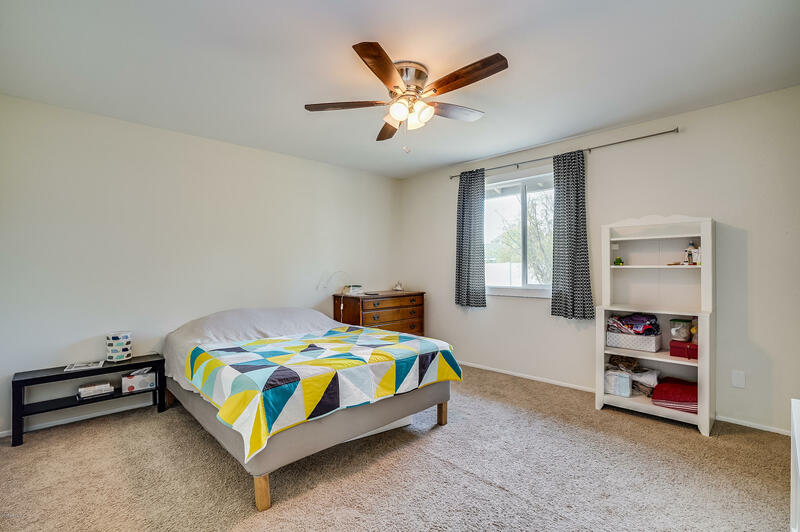 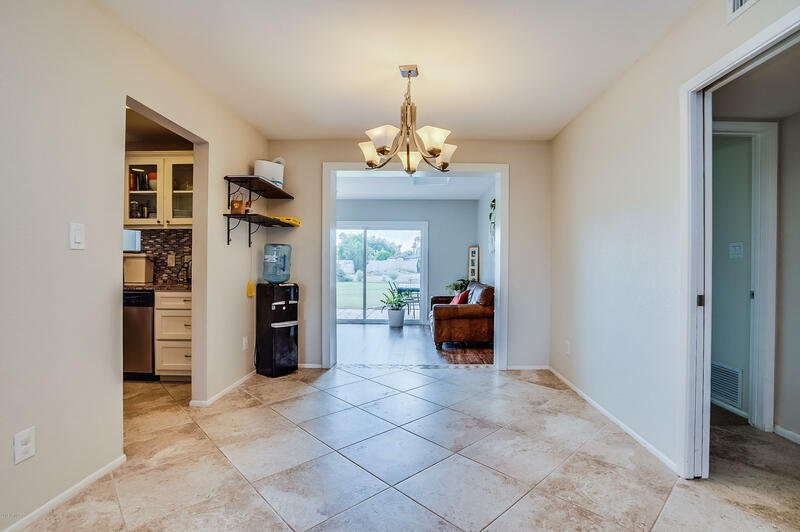 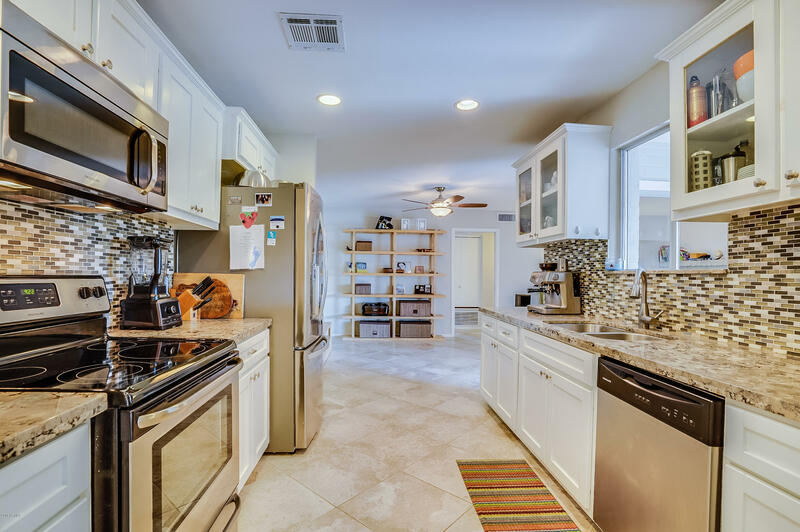 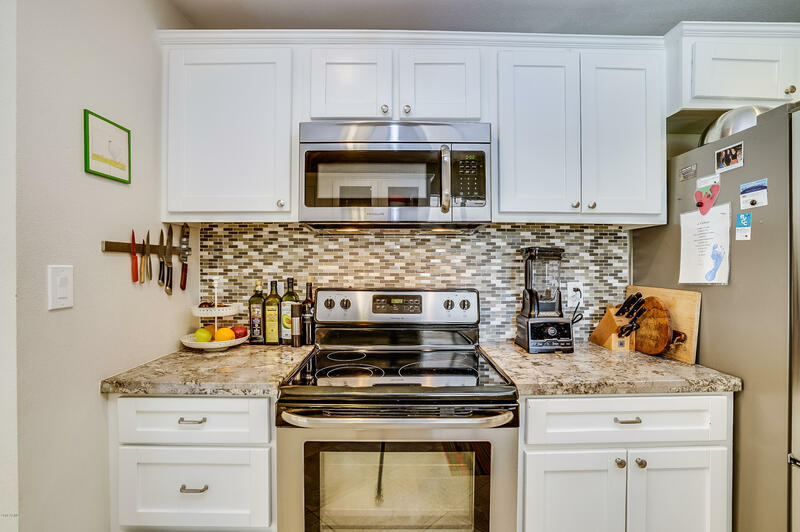 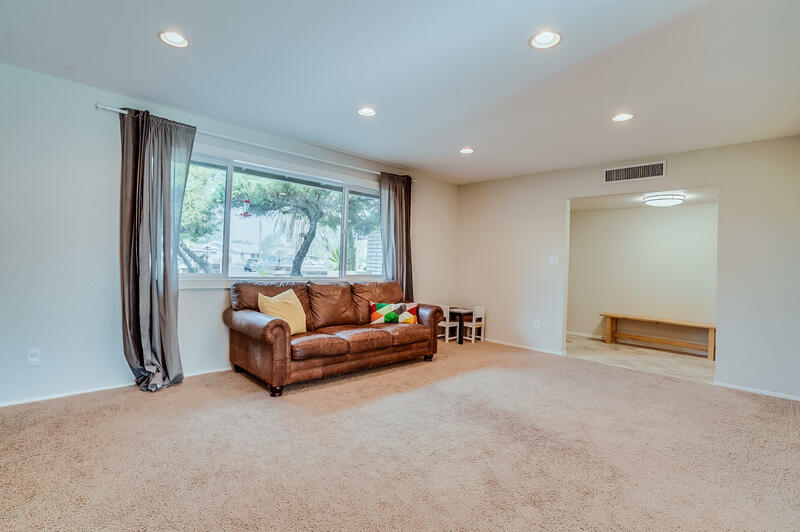 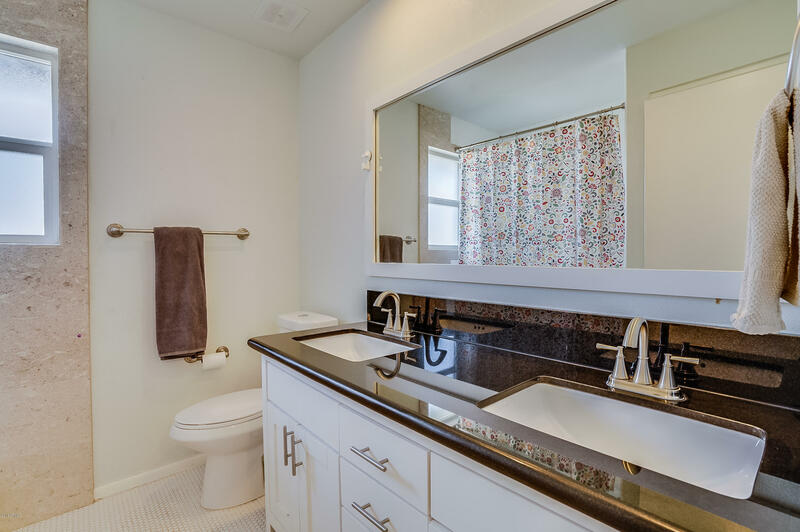 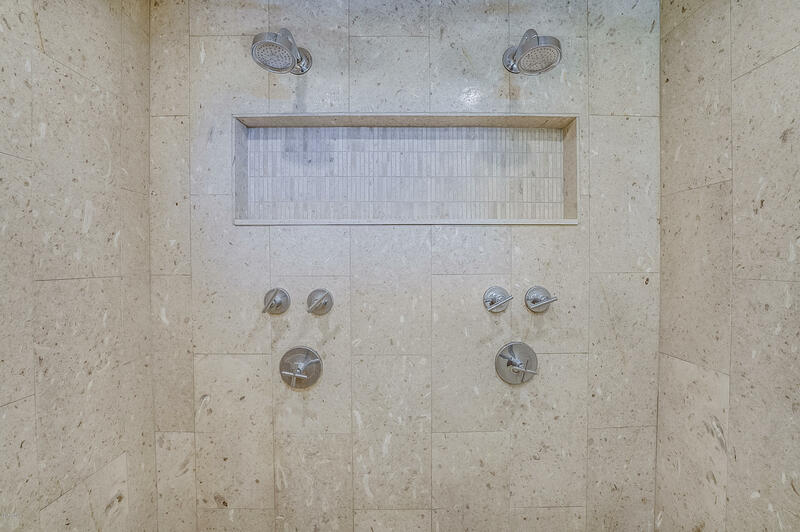 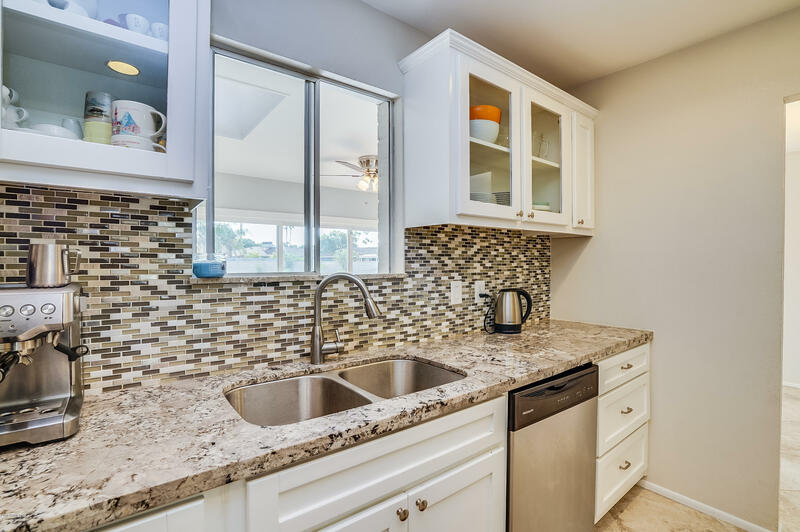 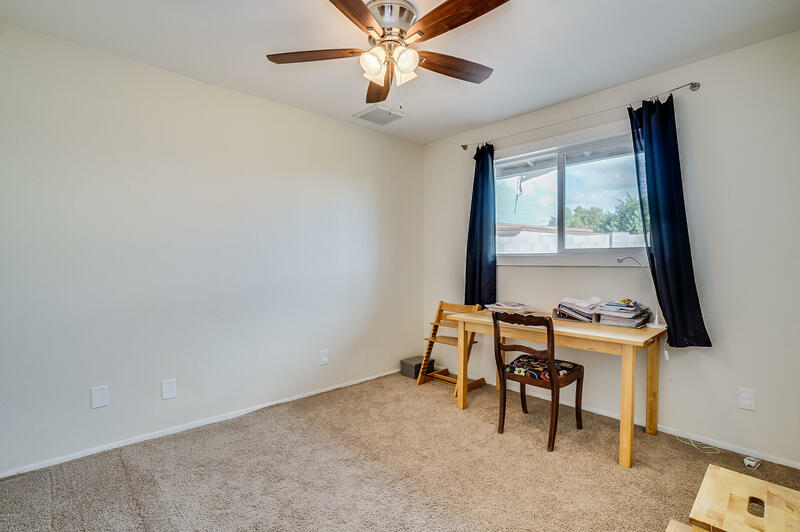 Interior of home has been upgraded throughout and features a new kitchen with white shaker cabinets with glass doors, Bianco Antico granite countertops, glass mosaic stone/metal backsplash and new SS appliances. 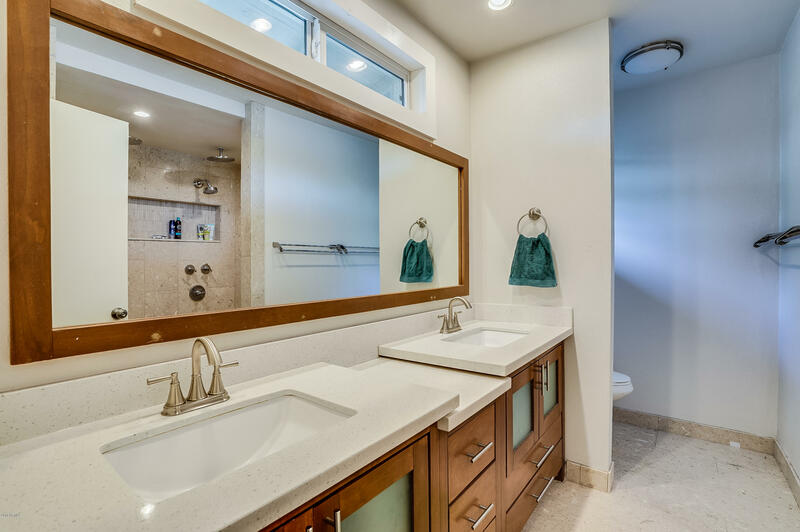 Both bathrooms have been redone w/ new vanities, quartz and granite counters, penny and hexagonal tile and new shower and tub surround. 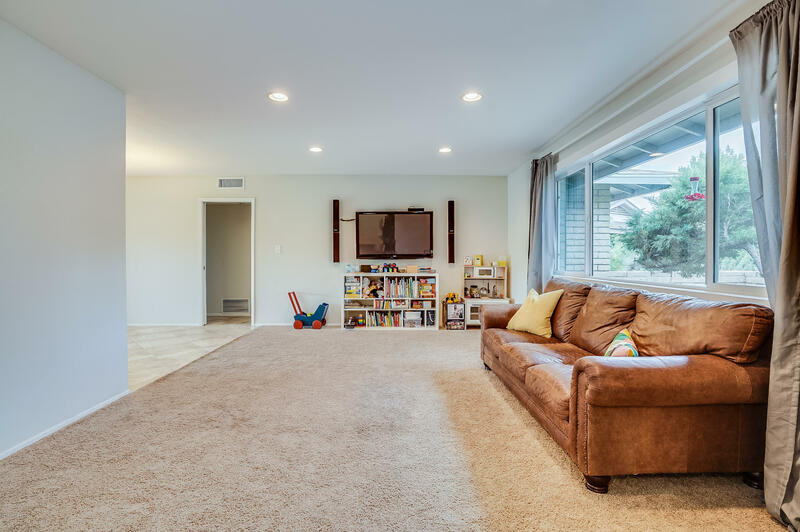 Floor plan also features a formal dining, family room and brick fireplace in living room. 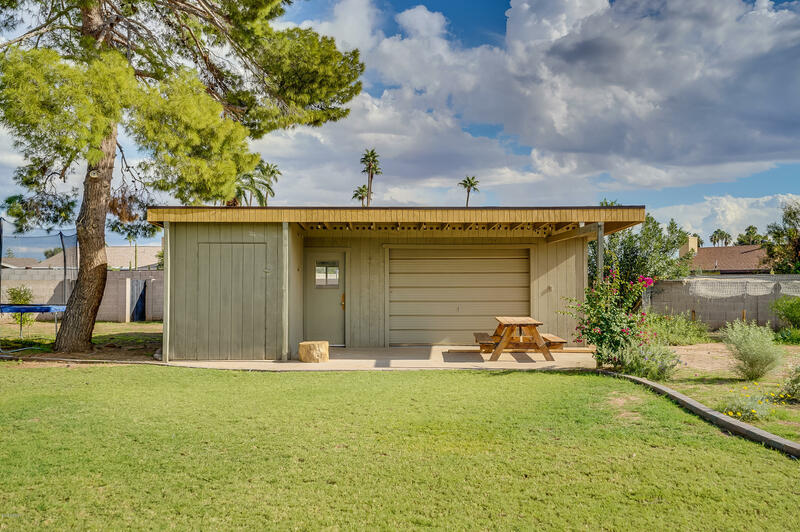 Out building can be finished as a guest home, AirBnB rental, or workshop. 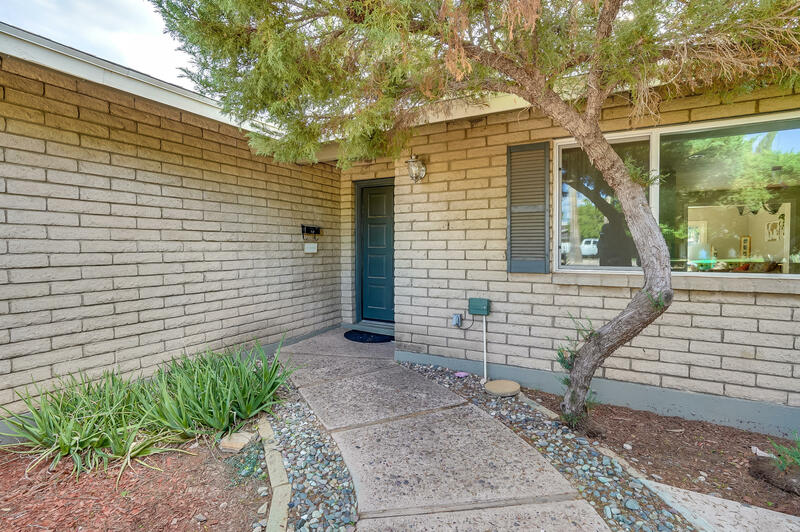 RV gate new AC unit. 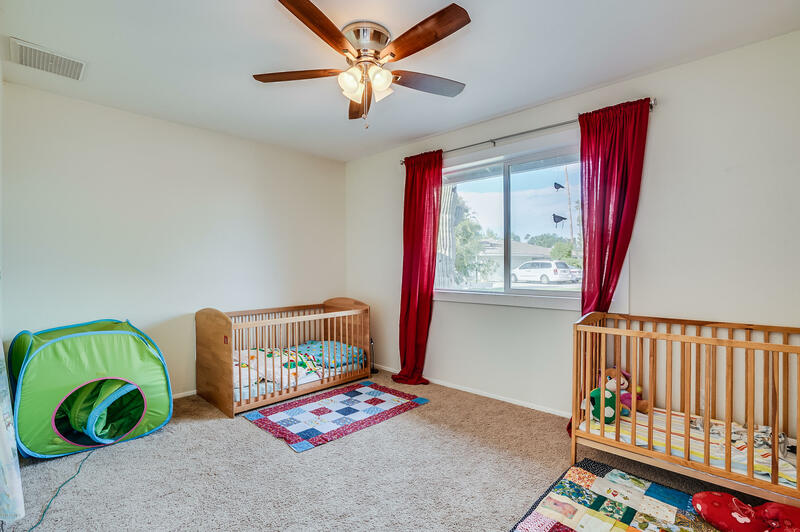 Ward Traditional Academy gives residents first right of refusal. 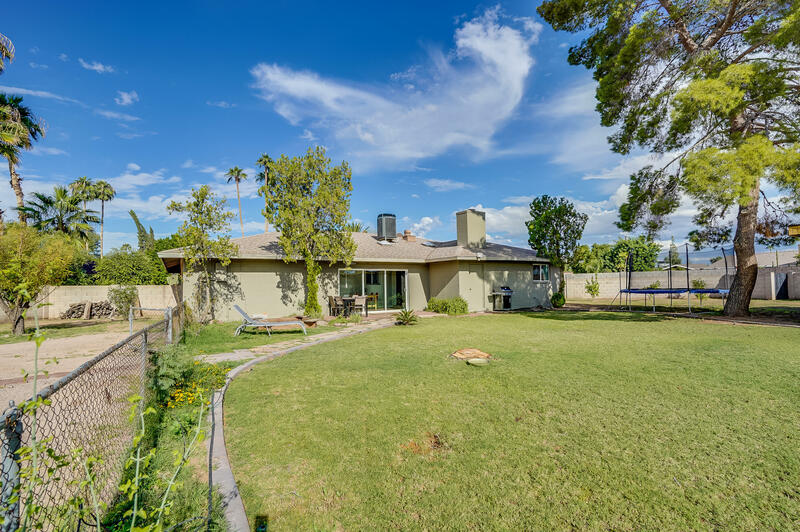 Amazing schools & location!